What does an antenna’s boom do? Sorry, couldn’t help it. The boom is the part of the antenna on the front. It’s the long “nose” of the antenna you see above you, with all the x-shaped parts. It’s a critical part of a yagi antenna. Let’s take a deeper look. 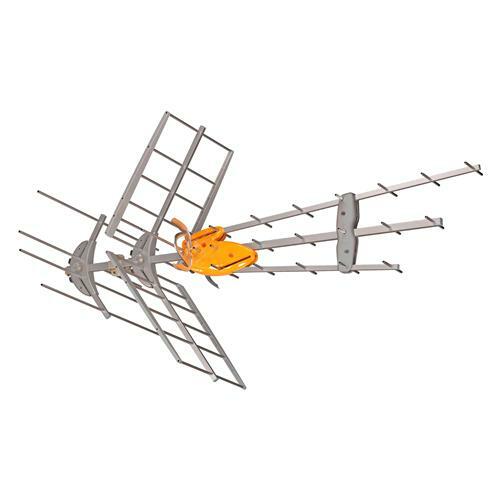 OK, what is a yagi antenna? There’s a deep dive here, but in order to keep the article going, let me just say a yagi antenna is one where the part of the antenna that receives the signal is surrounded by other stuff that focuses the signal. The actual “driven element” of the antenna above is a barely visible loop at the back. It might help you if I showed you a picture of it, but I bet you still won’t have an easy time finding it. Here it is in place, near the back of the antenna. I know, it’s still hard to see. The point is, that is the part of the antenna that actually receives the signal. 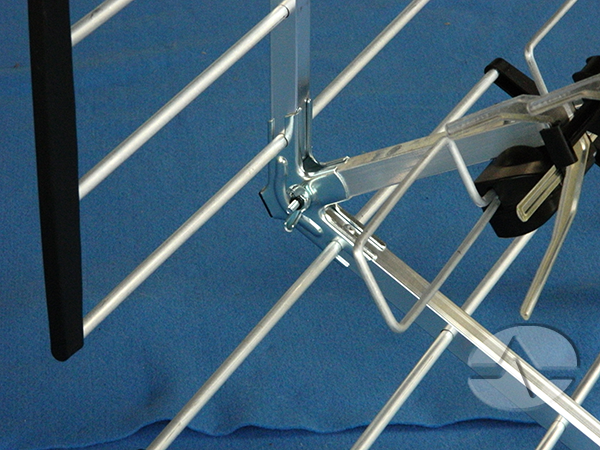 The other parts are all part of what makes it a Yagi antenna. All those other parts, the reflectors and directors, focus the signal on that one part. So what about the boom? The boom is the part on the front. It’s this. It’s the part. The boom holds the directors, which focus the signal on the front of the driven element. The angled parts at the back focus the signal on the back of the driven element, making it twice as effective. Without the boom, the whole antenna is a lot less effective. If one is good, are many better? This antenna has two booms instead of one long boom. This helps it pull in a strong signal, but the signal can come from further to the left and right. A long boom creates a narrow beam width, meaning that the antenna can’t see signals that aren’t right in front of it. This antenna has three booms. This gives even more opportunity for signal to be received, and the third boom also adds some stability to the whole antenna. But more booms isn’t necessarily better booms. Each of these antennas has a place. The one at top is really good at pulling in those far away signal, because of its long boom. The middle one does a good job with closer signals and can be very inexpensive. The bottom one is solid as a rock and pulls in signals from far off axis. It’s also the priciest of the three. The most important thing is that you choose the antenna that’s best for you. 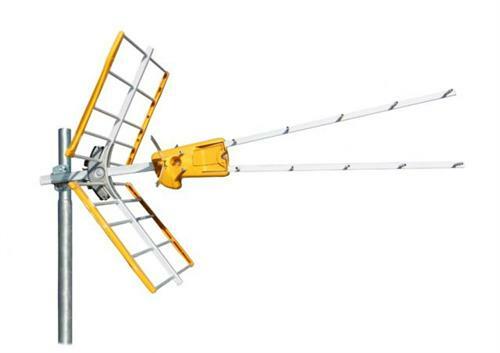 You need an antenna that works with your budget and has the ability to pull in the signals you need. 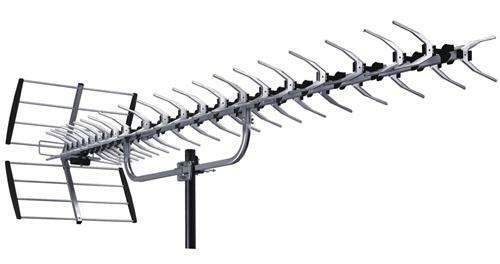 If you’re not sure which of these antennas to choose, give the folks at Solid Signal a call at 877.312.4547 or fill out a free antenna request form. They’ll help you choose the antenna you need out of our massive selection and give you advice on the other accessories you’ll need to get fantastic reception and pay nothing for crystal clear TV. Is it ok to use the compass in your phone to aim a dish or antenna? Should you run RG11 cable straight to the receiver?